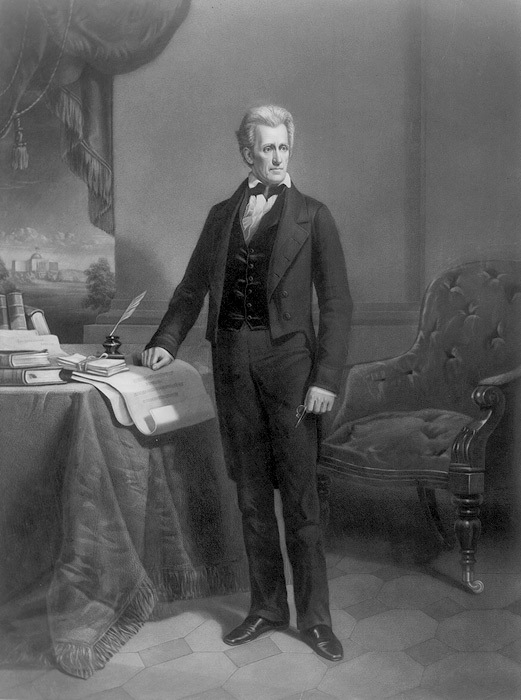 Jacksonian American tradition: how much realism still guide American foreign policy? To understand American foreign policy we need to look back to the foundation of American identity and its “Jacksonian tradition”. To do it I will analyze here an interesting article written by Walt Russell Mead, professor at Bard College and editor of The American Interest, written 15 years ago but still useful today. “An observer who thinks of American foreign policy only in terms of the commercial realism of the Hamiltonians, the crusading moralism of Wilsonian transcendentalists, and the supple pacifism of the principled but slippery Jeffersonians would be at a loss to account for American ruthlessness at war” wrote Mead in that article. So we need to understand Jacksonians values if we want to grasp the nucleus of American foreign policy (and also the identity of people like Robert Kagan) based essentially on realist theory of international relations and war “as continuation of politics by other means”, as Clausewitz said. Jacksonian values are based on honor, self-reliance and hard work, equality, respect of individualism without judgment, financial esprit (credit and borrowed money is for self-discovery and expression) and courage. Plus Jacksonians people care as passionately about the Second Amendment (right to bear arms) as Jeffersonians do about the First (freedom of speech and religion). They don’t like federal power, they are anti-elitists (we could say ‘populists’) skeptical about do-gooding at home and abroad and they oppose federal taxes but favor benefits helping their middle class such as Social Security and Medicare. They believe that “while problems are complicated, solutions are simple” and in practically they believe in the triad “God, family and country” as many other nations in the world. The problem is that in American history these principles applied only in a ‘Jacksonian society’ from which many minorities were excluded, from African-American to Asians, Latinos or Indians, creating economic and social discrimination that today are even more present. But from where the Jacksonian identity came from? It was rooted in American identity much before Jackson presidency, even if it takes the name from the 7th President of the US. Actually while Jeffersonian is the American book-ideology based on Enlightenment (and so based on French-Italian-Mitteleuropean traditions) the US Jacksonian is the American folk-ideology, based on a ‘community identity’ of the first “Scot-Irish” settlers here in Virginia 400 years ago, as Mead says, “hardy and warlike people, with a culture and outlook formed by centuries of bitter warfare” (1). Also David Hackett Fischer, famous historian (Albion’ Seed, 1989), argued that the first settlers brought to America five features still present today: democratic politics, capitalist economy, libertarian laws, individualist society and pluralistic culture. But how come the first settlers could influence so much the American identity? The problem is that, as Mead explains very well, Jacksonian culture spread beyond its original ethnic limits and it “Americanized” immigrants in the centuries, more than the opposite way around. Also because the nation state concept, with its political, economic, judicial and educational institutions, make the new citizens to abide by the same rules and principles of the older ones. At the end of the day the motto of America was and remains “e pluribus unum”, from many one, so pluralistic culture but homologated, not the European “in varietate concordia”, united in diversity. The Manifest Destiny made the rest: American settlers were destined to expand throughout the continent and possibly the world because of the special virtues of American people. Exceptionalism at its best and the risk of imperialism was already there. But is today still useful to look back to the “God, family and country” concept of the first settlers and to the Jacsonian tradition in the construction of our future global world? For Mead it seems yes. Jacksonian politics are poorly understood and rejected abroad as well as often at home too, as too hawkish, but without them the US would be a much weaker power. Plus in foreign policy Jacksonians support democracy, even if they don’t trust governments, they don’t know much about the world and sometimes (as some Tea party representatives) they are proud of their ignorance as well as of not having a passport. They are instinctive and pessimist, the world out there is “nasty and brutish” and we need to defend us and our national interest, following realist concepts: power and anarchy, not institutions or shared values, is what count in the world. So America is trapped, as Mead asserts: “the US cannot wage a major international war without Jacksonian support; once engaged, politicians cannot safely end the war except on Jacksonian terms”, that are complete victory. But this is the indispensable element to American strength according to Mead, as without winning wars the US could have not applied the Wilsonian, Jeffersonian and Hamiltonians principles of democracy and freedom to the world. Well, that might have been true last century, in particular in the world wars, but today, in a multilateral, globalized, complex and convergent world, with the Eastern rise and Western decline, with new paradigms to explain reality and new global threats for the planet, is really Jacksonian identity instead of diplomacy and cooperation the indispensable approach for the future of world order? I doubt it. Another famous realist American author and political commentator, Charles Krauthammer, trying to understand how to manage unipolarism after 9/11, in a lecture at the American Enterprise Institute in February 2004, also argued that there are three contending schools in American foreign policy (isolationism, liberal internationalism and realism) but the best US foreign policy, would be a forth one: a “democratic realism”, that support democracy everywhere but intervene militarily only in places where there is a strategic necessity for national interest (for example against Arab-Islamic terrorism). Recently, regarding ISIS, Krauthammer declared that this is a global “ideological war” that reaches into many nations because of its roots in the Muslim religion, re-proposing again the concept of “clash of civilizations” (2). Actually it would seem that today the Obama administration is still following the Jacksonian values and the “democratic realist” approach with his new intervention in the Middle East. But if we listen carefully to the Obama speech at the UN General Assembly, on the 24th of September 2014, maybe we would think differently. Obama said that the strategy to fight sectarianism and terrorism should be based not only on intervention to destroy ISIS but on 3 more points: first Muslim communities around the world should “explicitly, forcefully, and consistently” reject the ideology of ISIS and extremism, second we should address the cycle of conflict in Middle East through mediation and negotiation, to address differences directly, honestly, and peacefully, rather than through gun-wielding proxies, and finally we should focus on the potential of the local people through empowerment of youth and women. So it seems to me that realism today is good just as an emergency tool, for when it comes the moment to remove the rotten apple and the arrogant dictator. For the rest, let’s leave foreign policy to who knows about diplomacy, to who wants to build the future and not look constantly to the past: our globalized world need leadership for multilateralism and cooperation, not balancing or power politics. To say it again with Obama: “the central question of our global age is whether we will solve our problems together, in a spirit of mutual interests and mutual respect, or whether we descend into destructive rivalries of the past. On issue after issue, we cannot rely on a rule-book written for a different century”. Pure realism should have his days numbered if we want to maintain human life on this planet, otherwise what we will have built will be countries armed ones against the other not waging war only because of the threat of nuclear holocaust. Previous PostHow two important Muslim countries, Turkey and Indonesia, can contribute for more peace, tolerance and economic growth in post-Western world?Next Post“Democratic ideals and reality”, Halford J. Mackinder, 1919. Is this text still actual?